The following are the steps to enable the mailing of every log created in the Queue Logs database to predefined recipient(s). 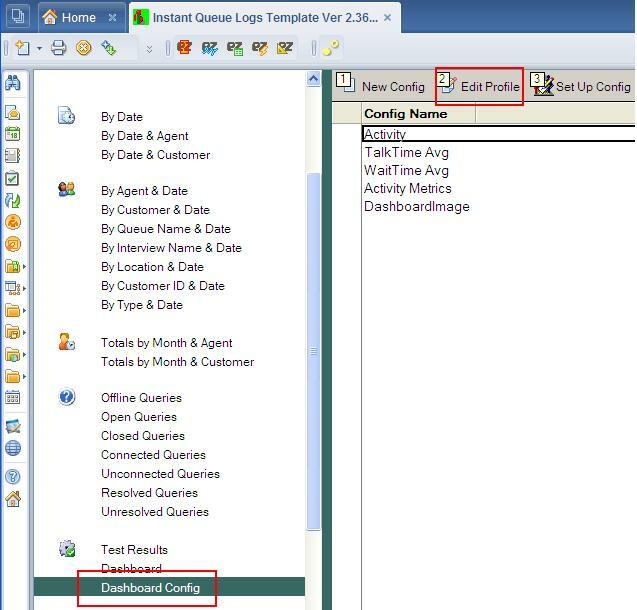 Through Lotus Notes client workspace, locate and open Queue Logs database. Under 'E-mail Logging Options' locate the field 'Recipients to receive Email on Every log Created' and enter the recipients who should receive mail with chat details including transcript when log is created. 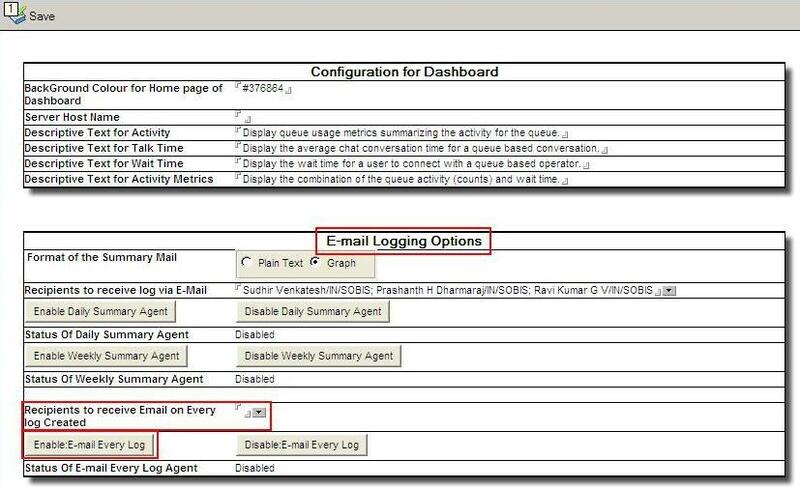 Click on 'Enable:E-mail Every Log' to enable the agent which sends out the mail to the intended recipients when a log is created in the Queue Logs database. Click on 'Save' on the top left of the profile form to save the changes.